This is the excruciating moment a clumsy shopper caused £5,000 (5,540 euros) of damage in less than five seconds. He was crouching down, looking at televisions in the St Austell branch of HBH Woolacotts, when he lost his balance, beginning a disastrous sequence of tumbling televisions. 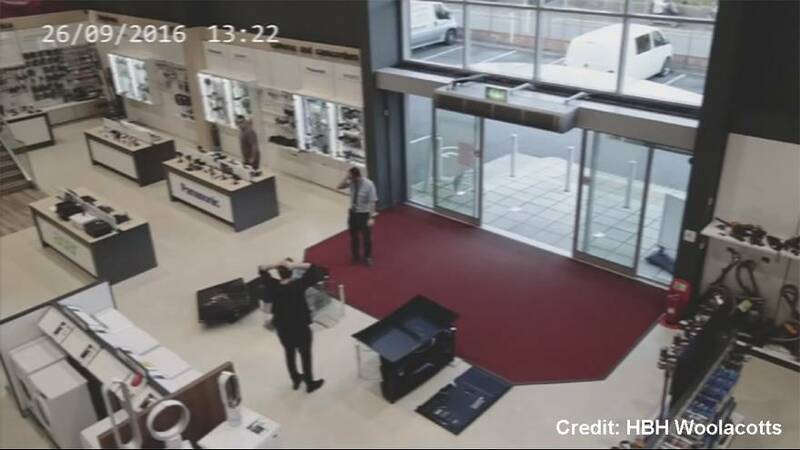 Mike Collins, assistant manager at the store in Cornwall, England, told www.westbriton.co.uk that a curved Samsung and two Panasonic TVs were among those damaged.